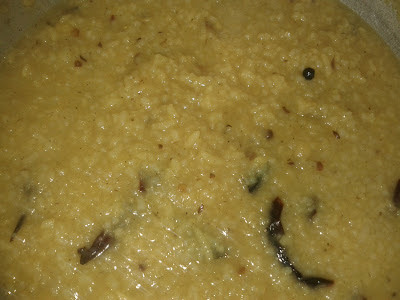 Pongal can be spicy or sweet. I prefer spicy one more. 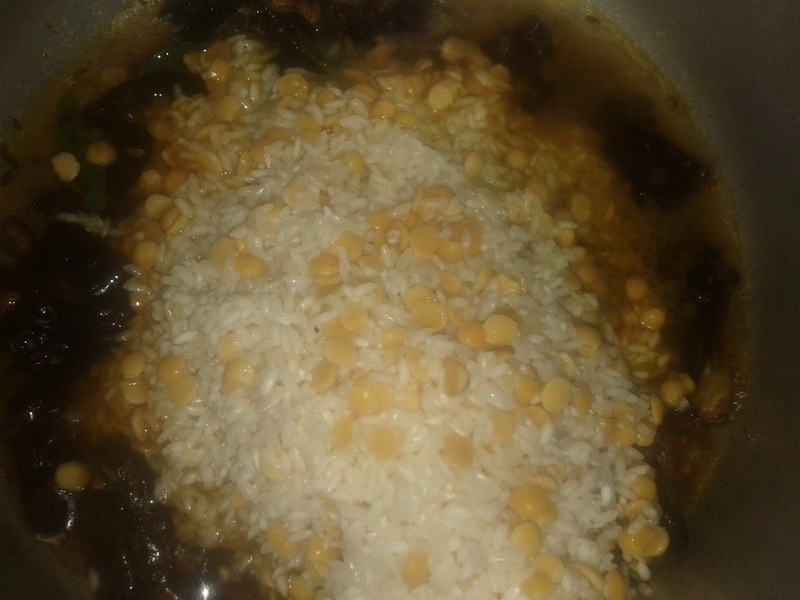 My way of preparing pongal is different. I use toor dal some times instead of moong dal. I some times call pongal as khichdi as there is no much difference in taste nor ingredients. Pongal is a very famous dish in Tamilnadu and Khichdi in Gujarath. This dish is very simple and easy. Can have it for breakfast or lunch. This recipe can be modified as per your requirement. Number of green chilies depend on how spicy they are. I am using 3 as mine are not very spicy. 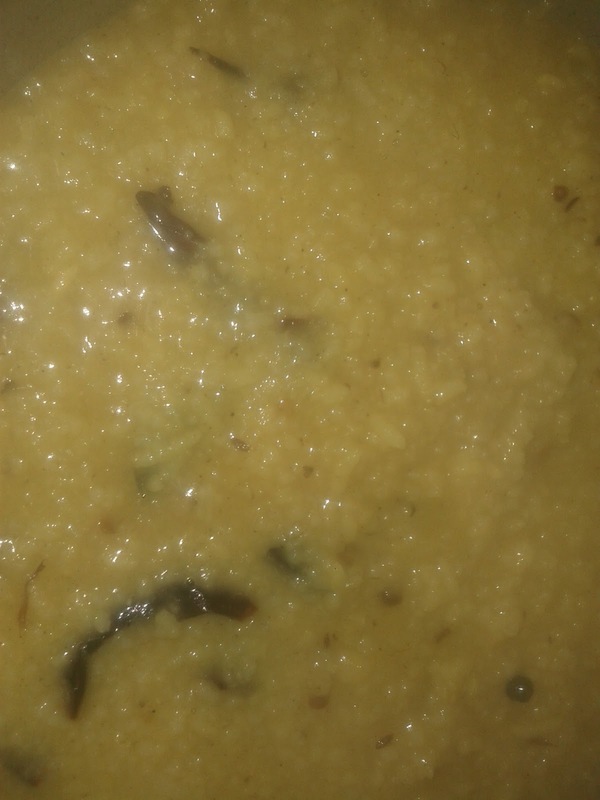 You can either make this dish with toor dal or moong dal or both together. Can use garlic ginger paste if needed. 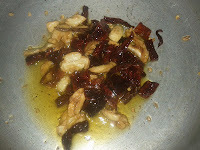 Can make use of any vegetables in this dish or can have it plain without any vegetables. Can make use of onions only if needed. Can make use of oil or ghee or even both. Can add coriander and gram masala powder if needed. Can make use of cashew nuts if needed. Include the above mentioned ingredients as per your taste. Heat oil in a cooker. 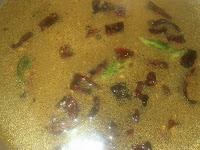 Add split cumin seeds, green chilies, red chilies, garlic, pepper, Asafoetida and curry leaves. Fry for 2 minutes. 2. Add turmeric powder, salt, rice grains and toor dal. Fry for 3 minutes.